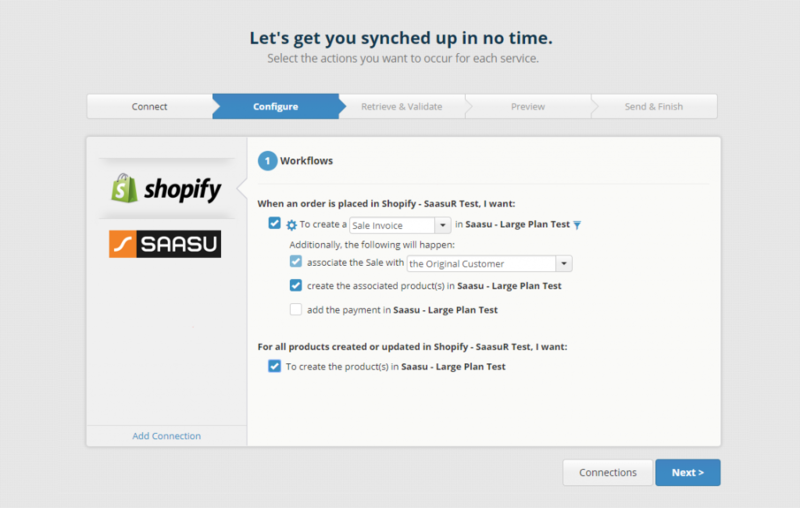 Saasu integrates with Shopify seamlessly via OneSaas as a connector. Saasu is the Australian based cloud accounting software with Payroll and extensive API features for Small business. Shopify is the complete eCommerce platform to sell online, on social media or in person. 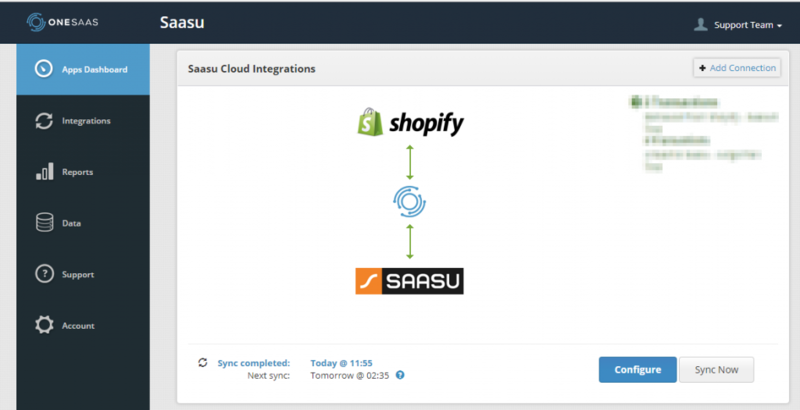 The synchronisation between Saasu and Shopify helps you to manage your time efficiently by automating the workflow between your eCommerce and Cloud accounting solutions. 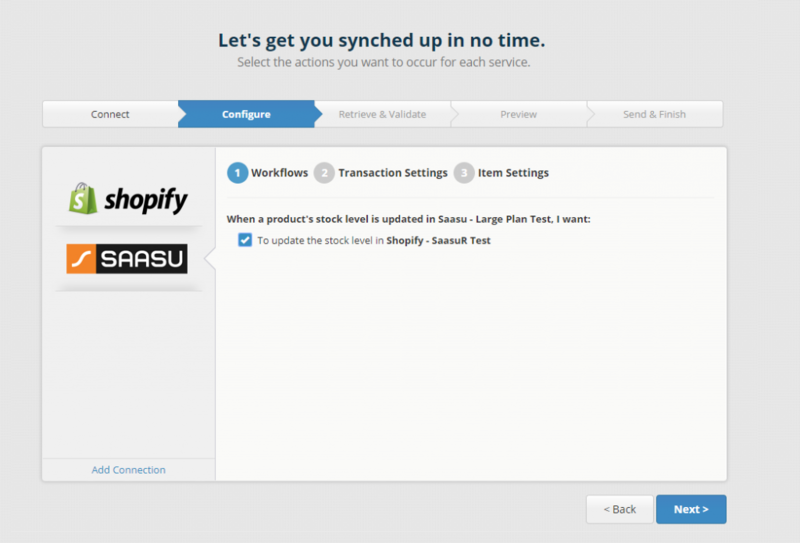 Daily updates to your Shopify store and Saasu file by synchronising sales, products and customers data. 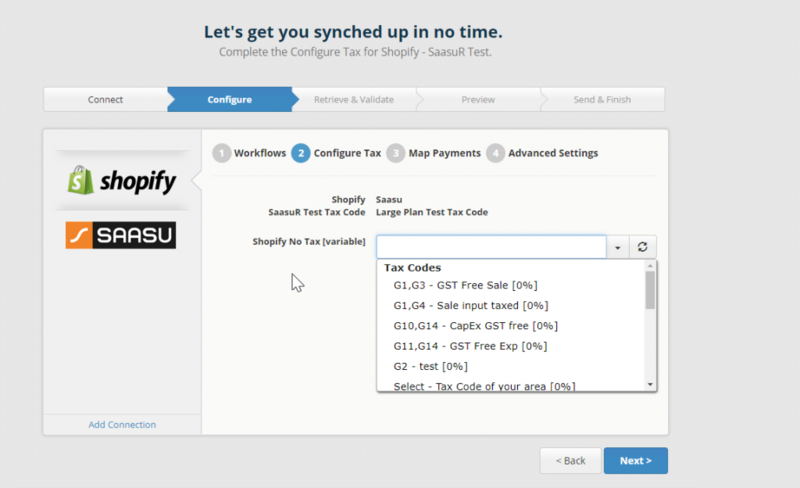 Save hours by eliminating manual transfers or data entry between Shopify and Saasu. An automatic update to inventory stock levels in Shopify as per your Saasu inventory stock levels. New products automatically created within Saasu as per your Shopify store products. 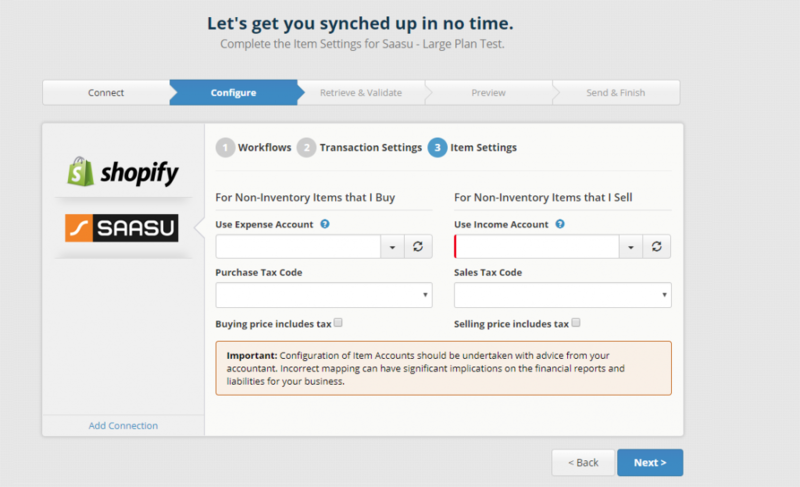 Add or update sale Invoices or Sale Orders in Saasu. 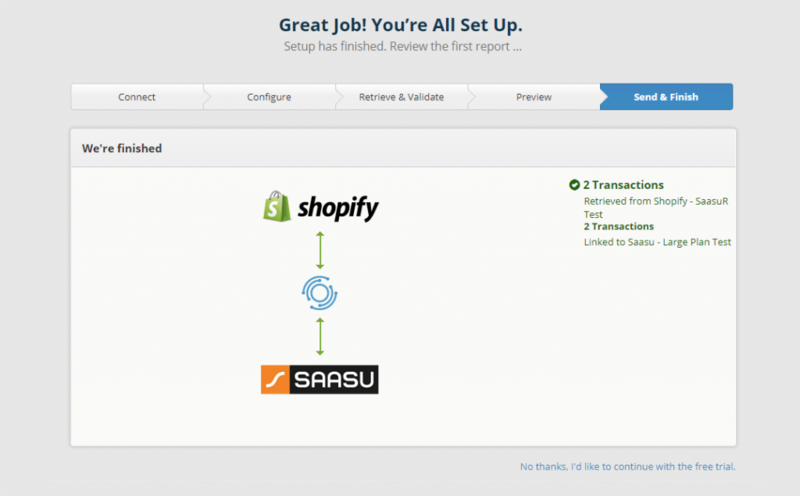 Setting up the connection between your Saasu file and your Shopify store via OneSaas is easy. First, login to your OneSaas Account, then click on the “Add Connection” option. You can connect your Saasu File by entering your File Name, File ID and Web Service Key details. A pop-up window with your Shopify store details will open-up. Please click on “Install app”. Now that you have connected your Saasu file to your Shopify store via OneSaas. 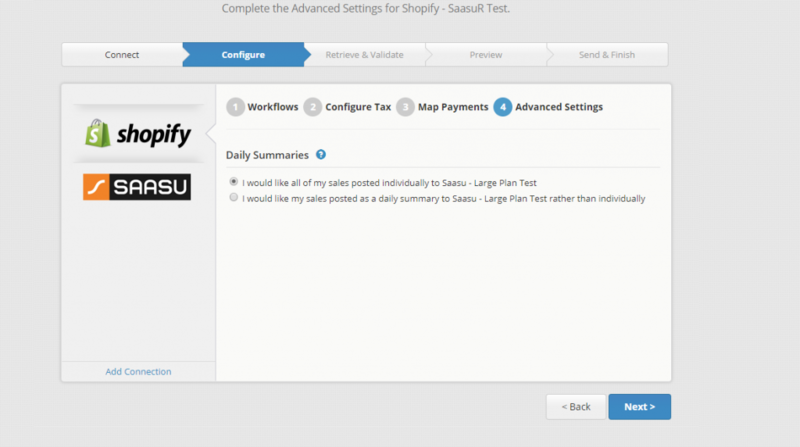 On your OneSaas dashboard, you will be able to see the Saasu and Shopify apps. From here, please click on the “Configure” option. You will be able to set your data preferences and synchronisation settings as per your business requirements. Please see some of the options available within the integration settings as below. 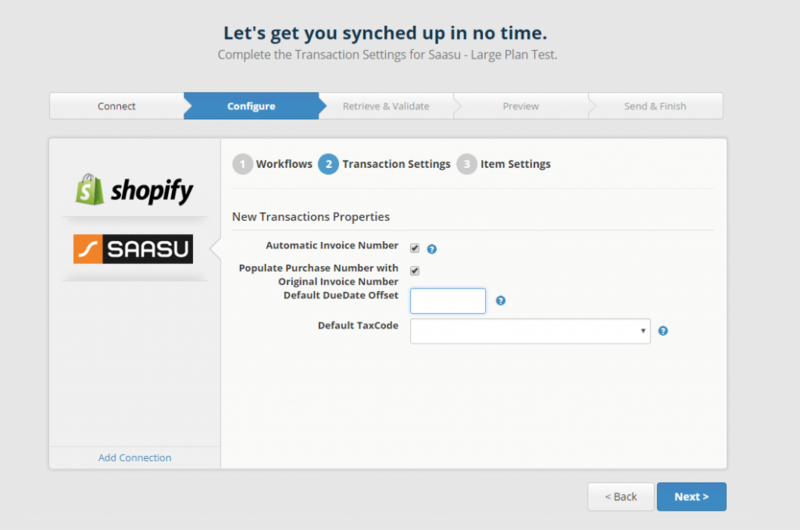 From here you will be able to set preferences to create your Shopify orders to your Saasu file. As shown in the image below, the ‘Workflows’ section allows you to customise the settings relating to your sales orders data which will be sent to Saasu. 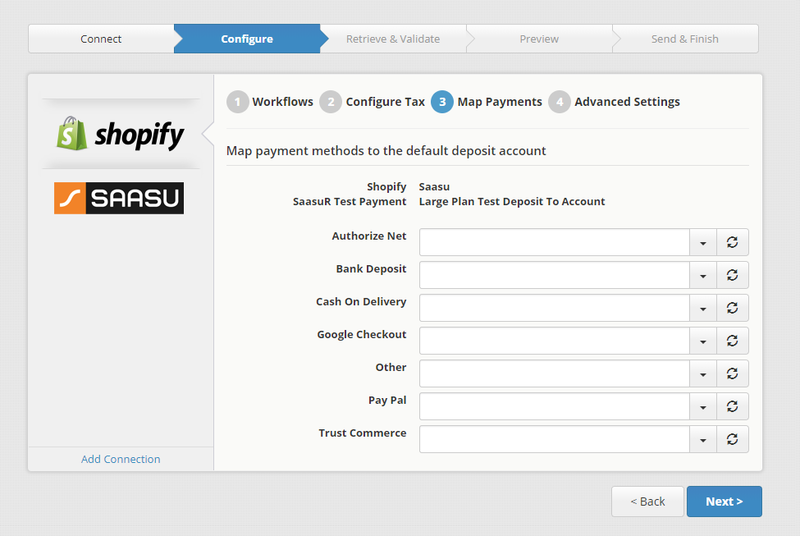 Checking the ‘add the payment in Saasu’ checkbox will enable you to synchronise payment details from Shopify to Saasu. Within Saasu, you will be able to choose the option whether to create the orders with the Original customer or single online Sale customer. 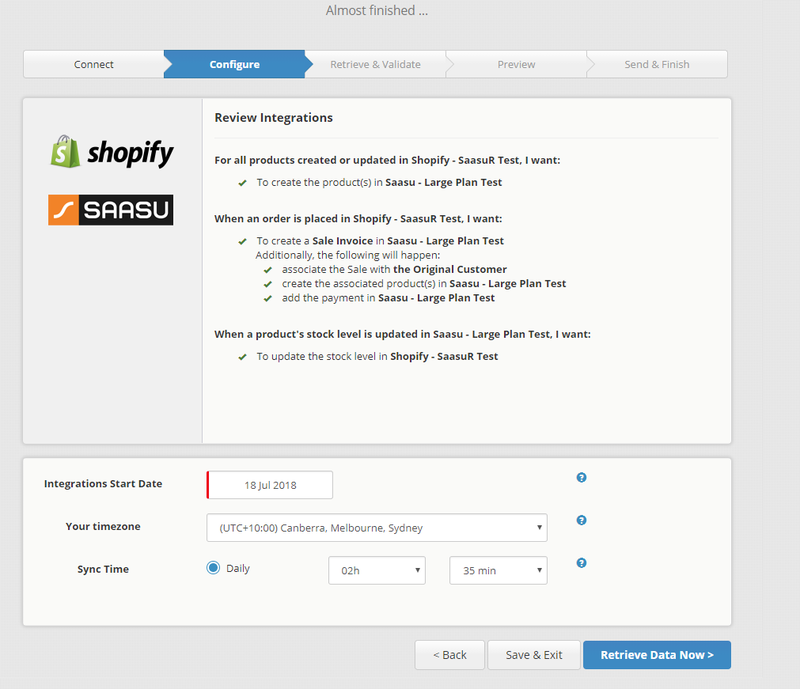 If you select the “Create the associated Product(s) in Saasu” option, this will create your Shopify store inventory items to your Saasu file. If you wish to sync the payment details to your Saasu file, you can select the option “Add the payment in Saasu”. 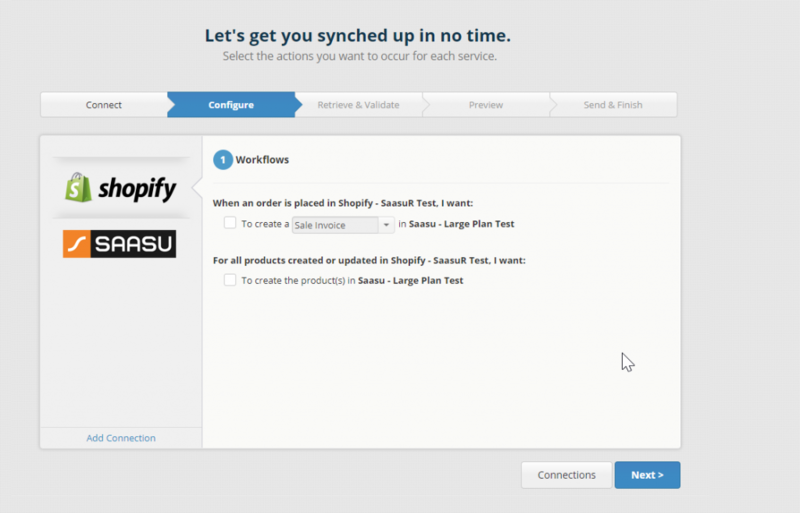 Please choose the automatic sync time, date and time zone for Shopify to integrate with your Saasu. Click on the option “Retrieve Data Now” to start synchronising. The first synchronisation may take some time depending on the volume of data you have. Once synchronisation completed, you will be able to preview the data and send that to your Saasu file. 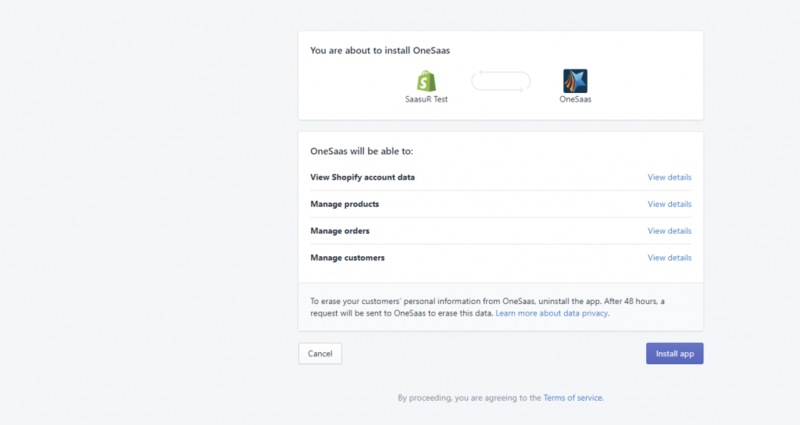 After the integration, you will be able to see the OneSaas app in the App section of your Shopify store. You will also receive a notification on the OneSaas dashboard for the transactions created in your Saasu file.